Lately, I got to Pinterest when I'm looking for card ideas. With being back to work full time, along with working on a degree, and taking care of a family, I don't have as much time to stamp as I used to. I don't always have a lot of time to think up new layout ideas and color combos. I love that I can find ideas on Pinterest and then tweak them a bit to work with the supplies I have on hand. Pinterest has been so helpful in coming up with cards for my once-a-month stamp club. This card is one of the cards we did for stamp club this past Sunday night. The original is HERE on Pinterest. Unfortunately, the watermark is too hard to see and when clicking on the picture, I get an error page so I'm not sure who to credit. My stamp club member ladies loved the design! The larger of the squares are cut at 1.25 x 1.25 inches and the small squares are cut at 1 x 1 inch. I used a corner rounder punch to round only two of the corners on each. The top square is put on with a Stampin' Dimensional (pop-dot) and the rounded corners are curled up a bit. I used the Patio Party designer series paper and one of the Rich Razzleberry buttons from the Sale-a-bration button and ribbon pack. I used two Stampin' Dimentionals for the button so that it stood up enough on the card. 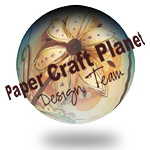 Supplies: Regal Rose, Whisper White, and So Saffron cardstock; Patio Party designer series paper; Scallop Border punch; Corner rounder punch; Stampin' Dimensionals; Sycamore Street ribbon and button pack; Basic Black ink; Apothocary Art stamp set. This month's stamp club included this sweet butterfly "Thank You" card. I found the original card (made by Krystal De Leeuw) on Pinterest. I tweaked the design a bit and love how it came out. Just that little bit of dimension by popping the small embossed butterflies up from the punched butterflies beneath, along with folding their wings in, brings this card to life. I appreciate there being snow on the ground in winter because it really keeps things lit up. It's much easier to look at then brown and gray. However, I'm over winter now and would love to move on to spring and butterflies. All supplies Stampin' Up: Just Believe stamp set; Marina Mist, Baja Breese, Rich Razzleberry, Not Quite Navy, and Whisper White cardstock; Rich Razzleberry ink; Butterfly Embosslits die, Vintage Wallpaper embossing folder, Labels Framelets, and Big Shot machine; Elegant Butterfly punch; pearls, Patio Party and Sycamore Street patterned paper; Stampin' Dimensionals. At my stamp club last month, we created this adorable "get well" card. I can't, for the life of me, find the original card that I saw with this set up so if you recognize the sketch, please let me know so I can give credit where credit is due. I originally found the card on Pinterest but it seems that I never pinned it. I've seen cards with real band-aids on them, but for some reason, that really makes me feel icky to look at. I created this fake band-aid using the Perfect Polka Dots embossing folder. Very easy! I cut a 3 1/2 x 1 inch wide strip of Creamy Caramel cardstock (which is now retired, but so close to the color of a band-aid) but you could probably use Crumb Cake cardstock. The corners are rounded with a corner rounder punch. The middle piece of the band-aid is 1 x 1 inch square. I sponged around the edges of the band-aid pieces with Crumb Cake ink. I embossed the Whisper White layer with the new Chevron embossing folder. The rest of my supplies include: S ummer Starfruit, Marina Mist, Creamy Caramel, and Whisper White cardstock, Perfect Polka Dot and Chevron embossing folders, Big Shot die cutting machine, Labels Framelets, Word Play set, Crumb Cake and Basic Black ink, Stampin' Dimensionals, Gumball Green stitched ribbon, Sycamore Street patterned paper. Featuring hand-crocheted hearts, felt flowers, and a matching mailbox! So fast, so easy and so fun! Everything you need to create adorable Valentines card is included in this easy kit. 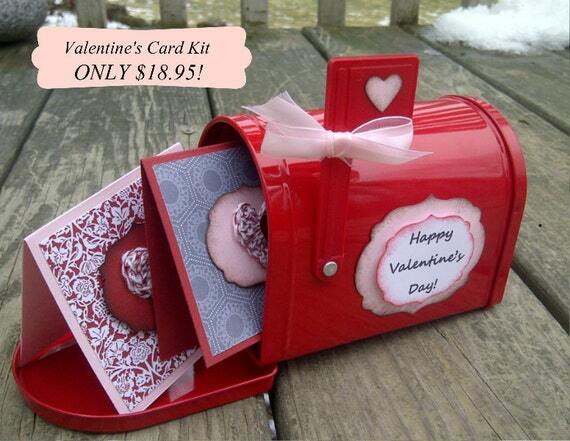 It even comes with a mailbox to carry them to school or work and serves for a great place for others to deliver their Valentine's cards to you! This kit is ONLY $18.95! Everything you need to create 12 beautiful cards and a matching mailbox is included in this ONE KIT! Get your kit for only $18.95! Kits are ready to shipwithin 1-2 business days so make sure to order right away to have your Valentine's cards ready for the big day! Order two kits and get a DISCOUNT! This set of 12 precious felt flower valentines are a unique way to show your love and affection to your friends and loved ones this Valentine's Day. 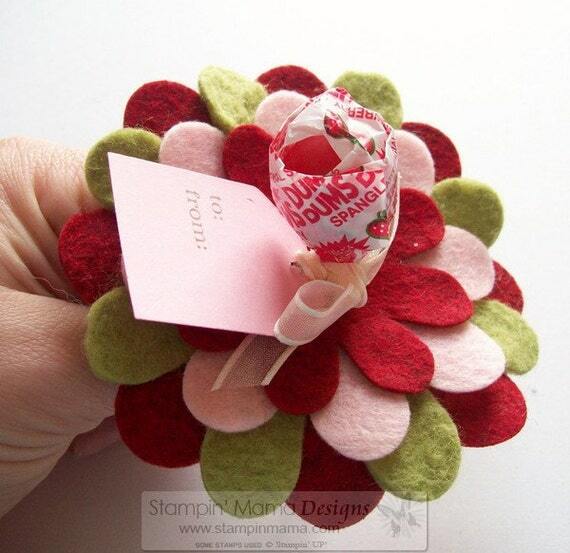 They also make the perfect Valentine's for your kids to bring to school and give to friends and teachers. This set is fully prepped so all you need to supply is some glue sticks and a hot glue gun for a fun time of Valentine-making. When you're done, put your name and the name of your recipient on the sweet little tag, give your Valentine's and watch the person's face light up when they receive it. Would you like me to make them for you? If you really love the look of these Valentine's but don't have the time to make them yourself, let me make them for you! You can purchase either kit completely made for you. All you'll have to do is sign your name and give your Valentine's. Felt Purse & Cell Phone Kits - FREE shipping! Create your own beautiful felt cell phone case or felt embroidered purse with these easy and fun kits! No experience necessary......these kits come with everything you need except for a pair of scissors to snip your embroidery floss with! I've created these kits from my love of working with felt and basic embroidery. They're incredibly easy and so much fun to put together and you'll be surprised at the accomplishment you feel once you're finished with them. Not to mention the fact that you get to show them off afterward! You'll get a WOW wherever you take them. Buy one or get both at a special bundle price! The Felt Cell Phone kit is great for just about any size cell phone. It can be carried by the little felt strap or slipped into your purse or backpack. These cases make perfect gifts for teenagers as well as grown-ups. Or give a kit as a gift to an aspiring young crafter so they can feel the accomplishment making it all on their own. This purse is wonderful for all ages. It can used as needlework tote to bring your embroidery projects with you wherever you go. It can also become a treasured purse for a little girl who will show it off with pride. Better yet, this is a great project for a young girl to be proud of doing all on her own! Buy both kits for a special bundle price and get FREE shipping! All kits will ship within 1-2 business days. I went to a baby shower on Saturday and when I go to an event bearing a gift, I love to go handmade all the way. It's been a while since I've posted here on my blog, but I'm trying to get back in the habit, so for this post, I have 4 different projects to show. I recently got the Papillon Potpourri set and the Elegant Butterfly punch to match and CASEd this card from Wendy Fassbender to use at my Stamp Club last week. I tweaked the design just a bit but love her overall concept. Of course, I also adore anything in rainbow order so as soon as I saw her card, I was all over it. This made a great club project and was simple to prep for. Wendy used punches for her squares but since I don't have both sizes of the square punches, I just used my paper cutter and that worked just fine...and fast! I had a plain white handled bag that I dressed up for the gifts I made. I went very simplistic with this due to time and also because I think that sometimes less is more. I used the Elegant Butterfly punch to make a rainbow assortment of butterflies for both sides of the bag. For the clouds, I used the scallop circle punch and cut them in half. I folded the wings of the butterflies in and used a little bit of 2-Way glue on the middle of them to stick them to the bag. I love how they look like they're flying across the bags and fluttering their wings. Aren't these little booties so adorable? I found the pattern for the booties in a local Ben Franklin's store and fell in love with them because they were so cute and because they were made with felt. Hand stitching on felt is one of my most favorite things to do. It's so therapeutic. The pattern calls for machine sewing the booties, but I love doing that blanket stitch and all the embroidery work. I used the Baskets & Blooms Big Shot die to cut out the little flowers and I hand cut the leaves. My friend loved them, by the way! Any 5 classes on CD - Lowest price EVER! Special Offer! Best Price EVER! For 5 days ONLY, I'm offering the best price ever on my Class CDs! As most of you know, I'm back in school full time to earn my degrees in psychology with plans to become an art therapist (using art as a means of expression in therapy sessions). I'm sure you all know that college textbooks don't come cheap either. My classes start in 3 weeks and those impending textbook prices are what inspired this AWESOME SALE! This sales gives you AND me a chance to go "back to school" at a great price! Pick ANY 5 Classes - Mix & Match! At this special pricing, you get any 5 classes on CD for only $49.95! That's only $9.99 per Class! PLUS - You get FREE shipping! You're getting over 60-70% off the original class price! But this is only for 5 days! Offer ends on Tuesday, August 21st. With so many classes to choose from, going "back to school" is something to look forward to! Blowing Baubles - Turn your papercrafting supplies into jewelry! Diamonds are a Girl's Best Friend - GLITTER! Winter Bright Project Extravaganza - 12 projects in 1 class! The Original Paper Bag Book - what started it all! Order your 5 classes here & get FREE shipping! Please write your 5 Class choices in the Comments section when you check out. All orders ship out within 24 hours! This special ends on Tuesday, August 21st, so make sure to place your order today - DON'T MISS OUT! Featuring hand-crocheted hearts and a matching mailbox! * Patterned paper and cardstock all cut and prepped - ready to use! 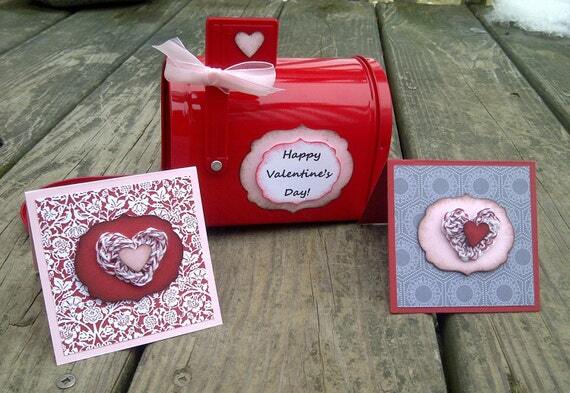 Valentine's Ideas - "Gifts from the Heart"
Online Class & Tutorial CD options available! Valentine's is right around the corner and what better way to show your love for someone than to make them a gift from the heart and hands. With this up-coming 3 day class, you'll learn to make 3 heartfelt projects...perfect for your budget, that won't take up too much of your valuable time and you probably have everything to make these projects already in your craft stash! This upcoming 3-day online course will show you how to create gifts that are heartfelt, easy to create and unique! From January 26-28, a new Gift from the Heart project will be uploaded to the course. These gifts are truly unique and not only do they make great Valentine's gifts, but they are great to make all year round! PDF files so you can print out the tutorial to keep in a binder to go back to every time you'd like to make these gifts again! Printable files so you can customize your projects for multiple occasions - not just Valentine's! These files make this course even MORE valuable! All of the Gifts from the Heart in this course can be made with most, if not ALL, of the supplies you already have in your papercrafting stash! This course will show you how to create gifts that won't break the bank but will get a WOW and a big smile from the special people you gift them to. And just in time for Valentine's Day! You now also have the option to purchase this course as a Tutorial CD! By choosing this option, you can have the convenience of having this entire class, plus the PDF files, all loaded onto one CD! Tutorial CDs are ready to ship immediately! Once you've registered, you'll receive an invitation granting you special "student only" access to the course site so that you can start getting your "creative groove" on once the class starts on January 26th! The Gifts from the Heart Online Course will rock your creative world......and the best thing about it is that you probably already have almost everything you need for these projects......and you can make them over and over again! Congrats! The winner for the free pass to this class is Angela Khan! Great class idea! My favorite Valentine's tradition is leaving small gifts for the kids to wake up to that morning. I usually hang a paper cone on their doorknob with a cookie, some chocolates, pink hot cocoa mix, and of course a Valentine from Mom & Dad. Fun stiff! Thanks for the chance to win! With the holidays right around the corner, we're all looking for the perfect gift for our friends and family. We're also looking for ways to do this economically. I have the solution for some of your gifts and packaging needs this holiday season and I've made it an economical purchase for you, too! Fast, fun and easy projects that are perfect for holiday gifts and fabulous packaging for you to use for all of your gifts this season - I've got them both for you! I'm offering 2 of my most popular online courses (as well as the Tutorial CD option) for a deep discount! You can now get both classes for the price of ONE! This class is already fully loaded to the class site for instant access. No waiting! You can get started right away on your gifts and packaging for the holiday season. For the price of one class, you get BOTHthe "Creative Photo Gifts" and "Packaging Extravaganza" classes! You'll get a total of 10 project tutorials for the price of 5! Through Monday, Dec. 7th, you can purchase this class at a $2 discount! Tutorial CD option - READY TO SHIP! You also have the option to purchase this course as a Tutorial CD! By choosing this option, you can have the convenience of having this entire class, plus the PDF files, all loaded onto one CD and saving space on your hard drive! Price includes shipping and Tutorial CDs are ready to ship! Once you've registered, you'll receive an invitation granting you special "student only" access to the course site so that you can start getting your "creative groove on!" The Creative Photo Gifts & Packaging Extravaganza courses will rock your creative world......and the best thing about it is that you probably already have almost everything you need for these projects......and you can make them over and over again! Get a head start on your holiday scrapbook with my Scrapbook-in-a-Day Album! 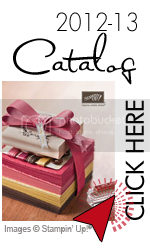 A 20-page album in an 6x6" size, decorated and ready to put your photos in after the holidays. And there's many ways that you create your own Holiday Scrapbook-in-a-Day album no matter what your schedule is, no matter where you live! Read on for more details. Get a head start on your memories! Using our Letters To Santa Designer Series paper and the Cherry Trim 6x6" album, the Scrapbook-in-a-Day is the perfect solution to creating a gorgeous album ready to put your photos in after the holidays, or even to give as a gift to loved ones. I've created 4 different ways that you can have your own Holiday Scrapbook-in-a-Day! Registration for this In-Studio class is due December 7th. Everything will be ready for you when you get here, including yummy holiday snacks! All of your pieces will be pre-cut and ready to assemble your album during the class time. Not only will everything be prepped for you, but you'll also receive the Cherry Trim 6x6" album and your class fee also includes cardstock and embellishments to add to your pages. If you can't make the class on Dec. 17th here at my studio, there's the option of purchasing a To-Go Kit so you can put your album together at home. You'll need to provide your own adhesive, but everything else is done for you. If you'd like to put your album together all on your own and with your own supplies, I'm also offering a Tutorial File for purchase. Because this is a finished item, International Orders are welcome! Please contact me for shipping outside the US. SAVE $16.95 when you order 2 finished albums! Turn your papercraft supplies into Jewelry! Class starts Monday - register today! Don't want to do the online course? Tutorial CD also available! Turn your papercrafting supplies into jewelry! With the holidays right around the corner and the economy making us tighten our holiday spending, many of us are looking to create beautiful and meaningful handmade gifts. Are you looking to "go beyond" this year and create amazing gifts and use what you have right in your paper crafting stash? Then the "Blowing" online course and tutorial CD is just what you need to have you creating gifts that your loved ones and friends will be able to show off and treasure for years to come. Turn your paper-crafting stash into jewelry! The "Blowing Baubles" Online Coursewill walk you through techniques to create cost effective, yet gorgeous jewelry using what you have in your paper crafting stash. From November 14-18, a new "Blowing Baubles" PDF file will be loaded to the site. You'll use these over and over again! * PDF files so you can print out the tutorial to keep in a binder to go back to every time you'd like to make jewelry again! This course was created to use things that you most likely already have in your crafting stash so you're probably all ready to get creating! Once you've registered, your Paypal receipt is your confirmation for the class. About a week before class starts, you'll receive an invitation granting you special "student only" access to the course site so that you can start getting your "creative groove" on once the class starts on November 14th! The "Blowing Baubles" Online Course will have you using and looking at your paper-crafting supplies in a whole new way and I look forward to having you in class! We have a winner! Thanks to everyone that entered the give-away! Erika--Love the colors in the Dasher necklace and earrings! Wow, I would love to win your free class giveaway...what a treat! Thanks for the chance to win.